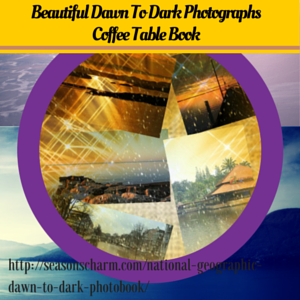 This National Geographic Dawn To Dusk Photographs coffee table book would make the perfect housewarming gift for photographers or anyone who enjoys beautiful scenery. The whole book is about the power of light on images. The stunningly beautiful photographs include locations from different parts of the world. There are photographs depicting dawn, sunrise, morning scene, midday, afternoon, sunset, twilight and night, a beautiful book showing mesmerizing photographs from dawn to dark. This is landscape photography at its best. This book contains photographs of the beautiful natural landscape that are bound to impress everyone who sets eyes on them. The lovely ocean, peaceful lake, rising sun, a rainy day in New York city, stifling midday heat and the crescent moon are some of these captivating scenes captured through a photographer’s lens. There are also interesting comments by the photographers themselves regarding their photographs. An inspiring book on the magnificence of light and darkness, it would certainly make a excellent coffee table book. The beauty of life as seen through a photographer’s lens, snapshots depicting the special ‘moment’ reflected through day lights and the night sky. 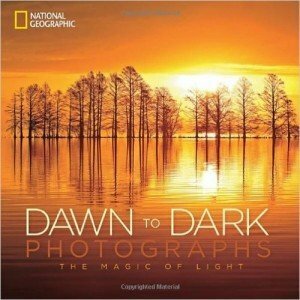 The National Geographic Dawn To Dusk Photographs coffee table book make an excellent housewarming gift for photographers or anyone who enjoys beautiful scenery. Seasons Charm Copyright © 2019.